Monmouth University Center for the Arts celebrates diversity by engaging local citizens through the arts. We foster a strong sense of community through productions and lectures through outreach and scholarship programs. The MCA actively works with the many non-profit community organizations and shelters in the region, offering outreach programs visiting local schools, hosting workshops on campus, and presenting master classes at partner facilities. 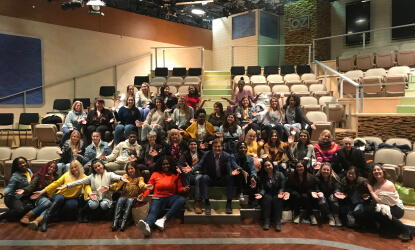 Through the University’s Community Relations Office, the Center for the Arts ensures that underserved populations and communities in need have access to the arts. The Traveling Poetry Emporium came to Monmouth University's campus on April 16 creating personalized poems in celebration of National Poetry Month. 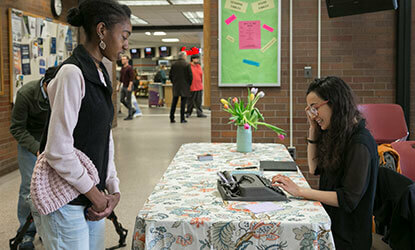 Students visited one of their pop-up poetry booths in the lobby of the Student Center, Dining Hall or Plangere Center and named any topic they wanted. Then, in less than five minutes, one of traveling poets GennaRose Nethercott, Cassandra de Alba or Julia Story composed an original, full-length poem on an antique manual typewriter just for them. 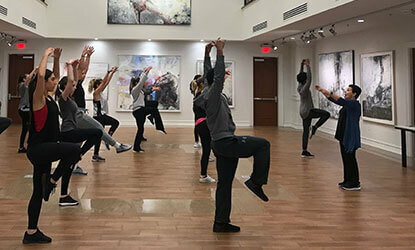 In November, the Center for the Arts in partnership with Department of Music and Theatre Arts Adjunct Professor Ekaterina Bronshteyn hosted one of four masterclasses scheduled this year with her dance students. The masterclasses are meant to broaden Monmouth students' knowledge of the discipline and skills outside of the classroom and allow them to work with distinguished, professional dancers and choreographers. 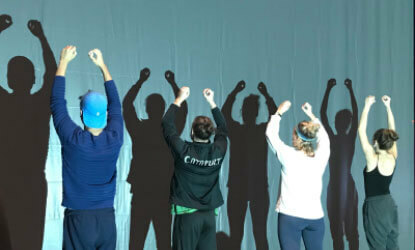 Monmouth University's Pollak Theatre opened its doors October 19th to give students from local elementary schools a special performance. 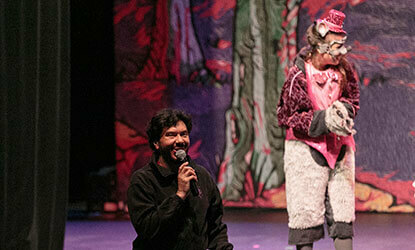 The Center for the Arts hosted The Three Pigettes and the Big Bad Lady Wolf , a bilingual show that puts a twist on the classic tale, The Three Little Pigs . The show was part of the Children's Theatre Series.